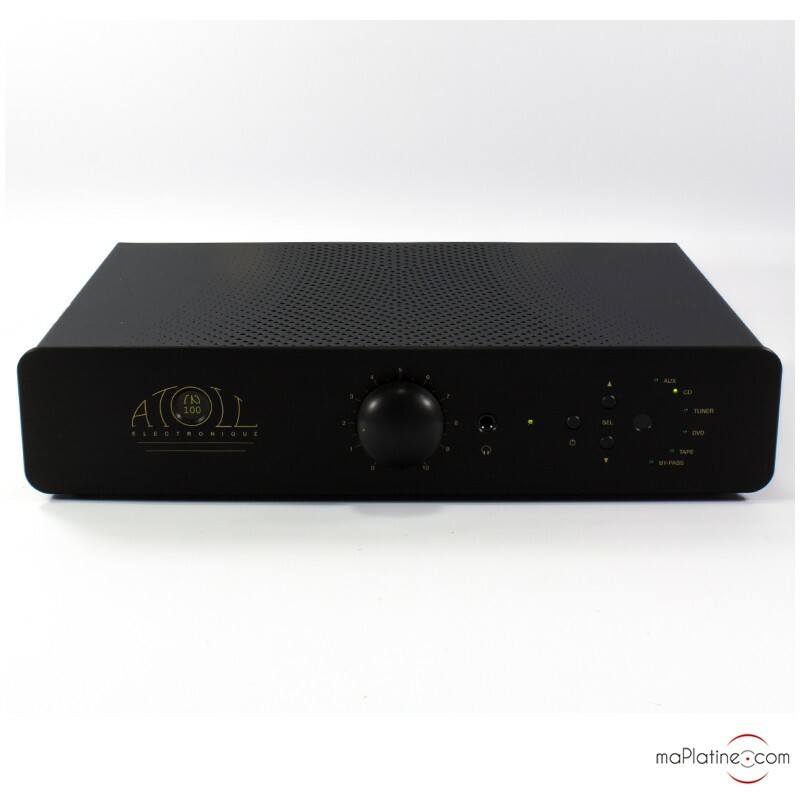 The Atoll IN100 SE amplifier is an integrated amplifier. 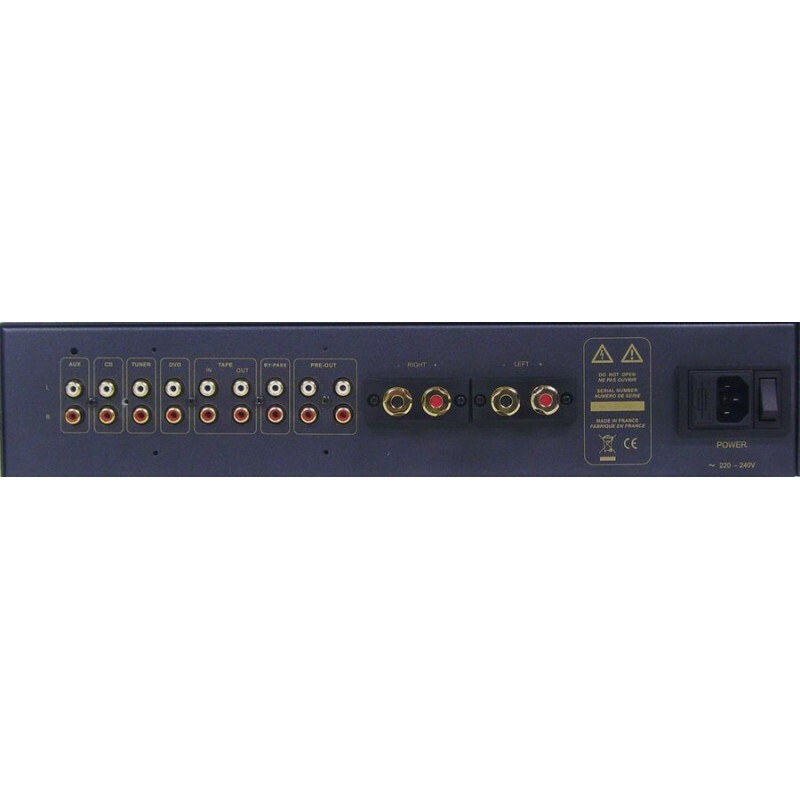 It is an amplifier with a power capacity of 100W per channel. 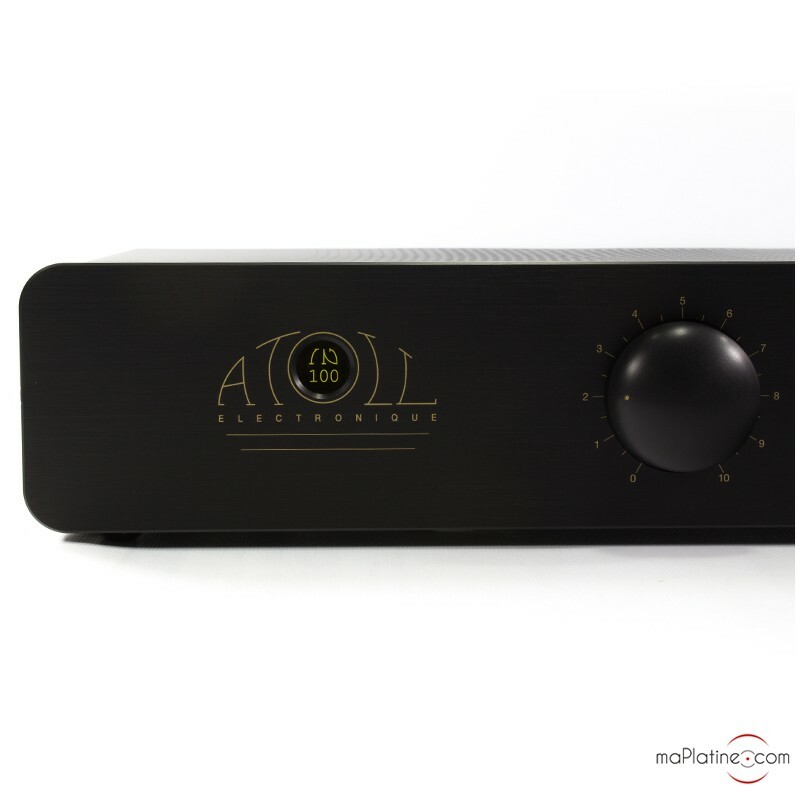 It has two 330VA toroidal transformers – that’s a total of 660VA! 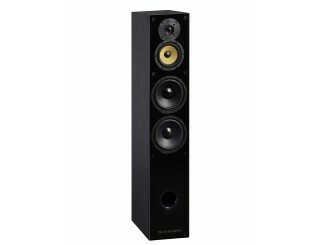 As such, it has the capacity to power a whole host of bookshelf and tower speakers. 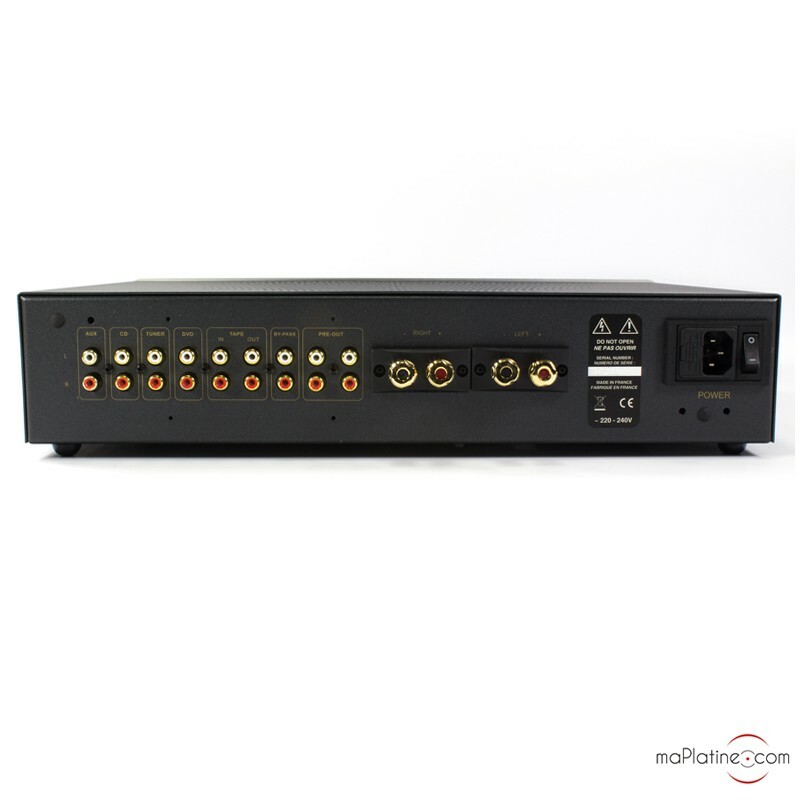 It has 4 analogue stereo inputs, 1 Tape input/output, 1 bypass input and a dual preamp output. 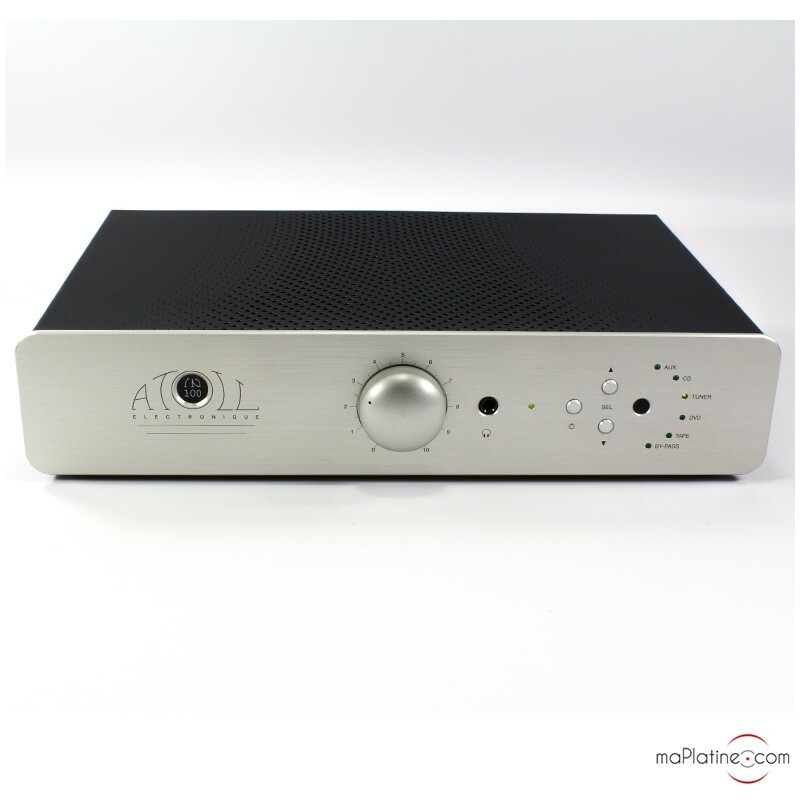 If you choose to use the bypass input, the Atoll IN100 SE2 amplifier will take on the on the role of a power amplifier. It also has a 6.35mm jack headphone output on the front panel of this Atoll IN 100 SE amplifier. 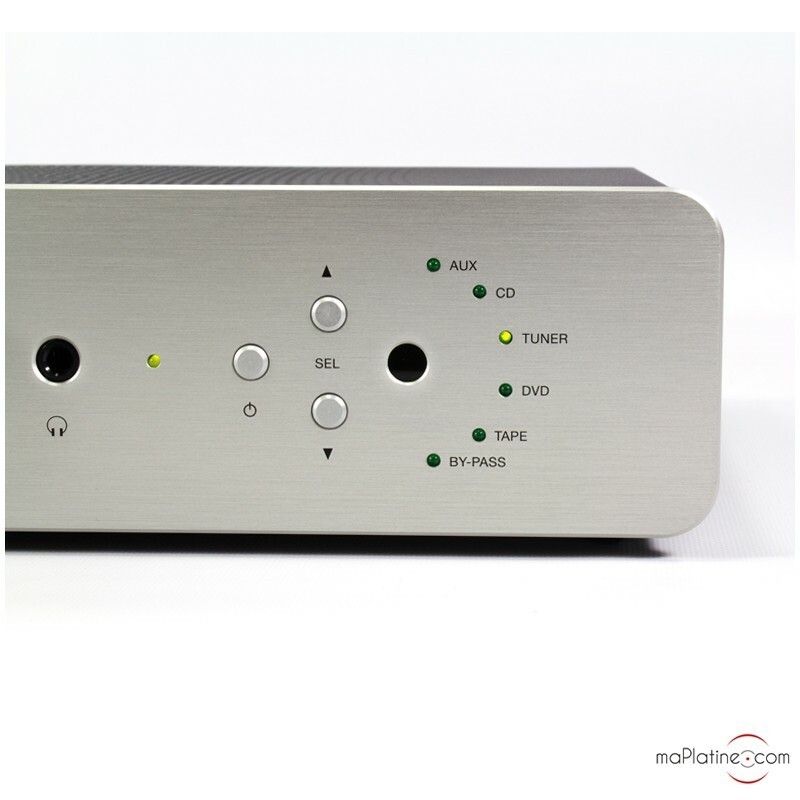 The preamplifier output means you can connect a power amplifier and the 2 preamp outputs mean you can connect 2 power amplifiers (bi-amplification). 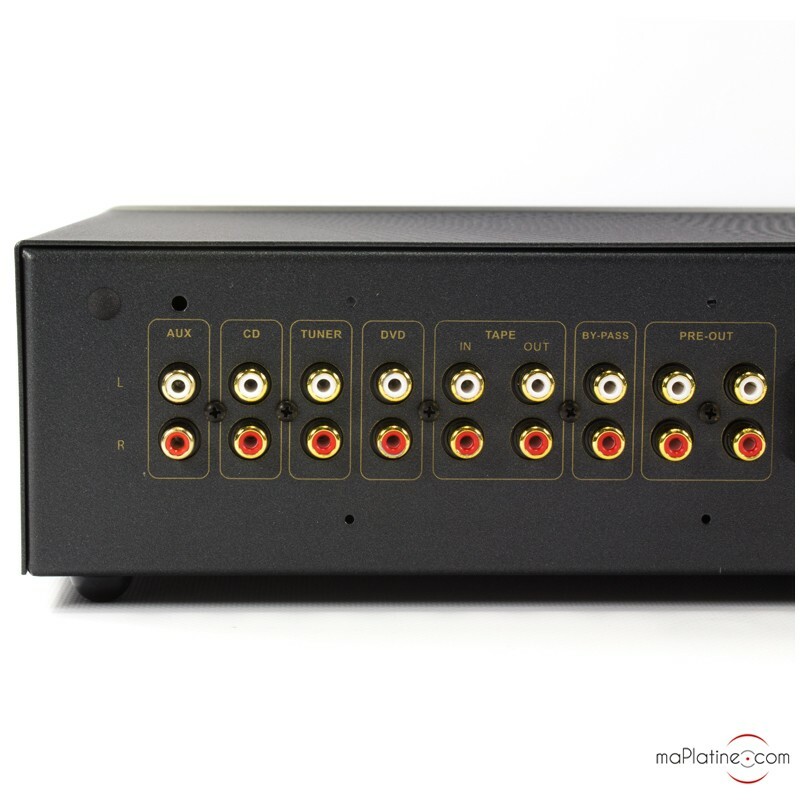 You can also connect a subwoofer into one of these outputs. 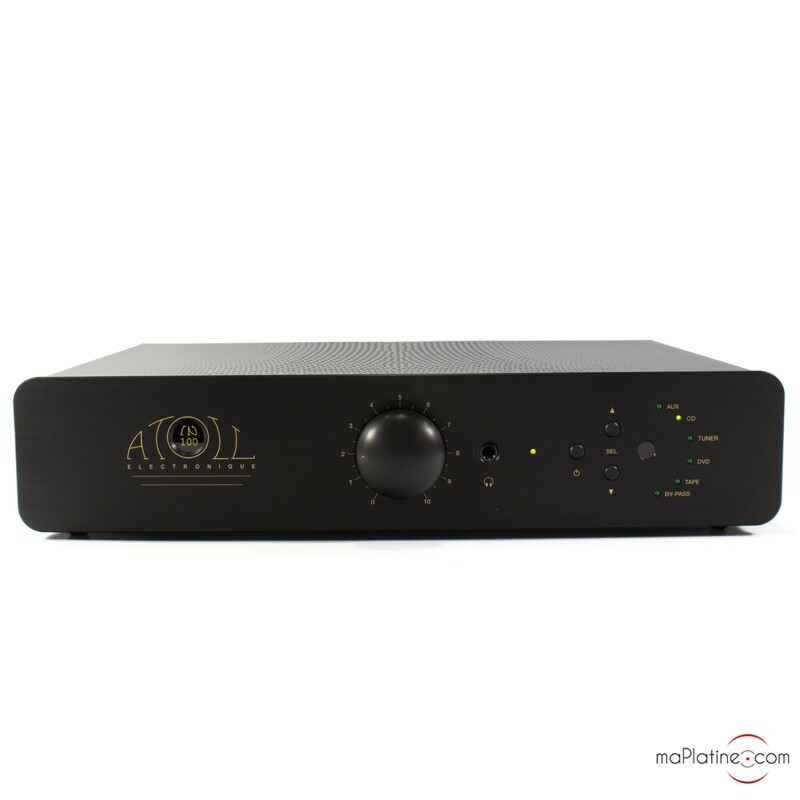 The internal wiring of the Atoll IN100 SE-2 amp is fully symmetrical and made up of discrete components. 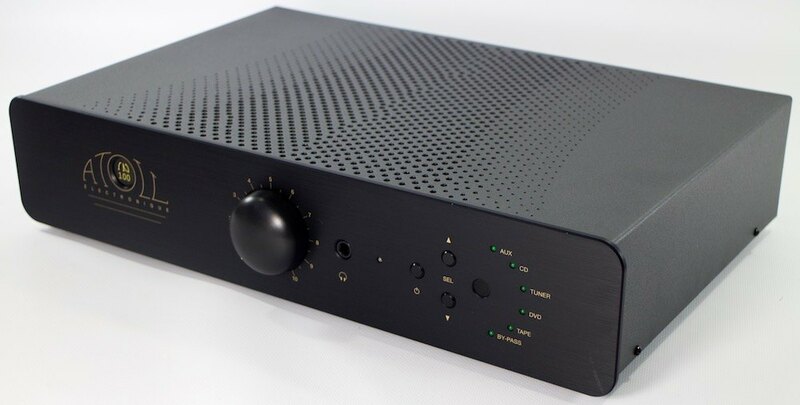 It is fitted with an MKP link capacitor and Mosfet transistors. 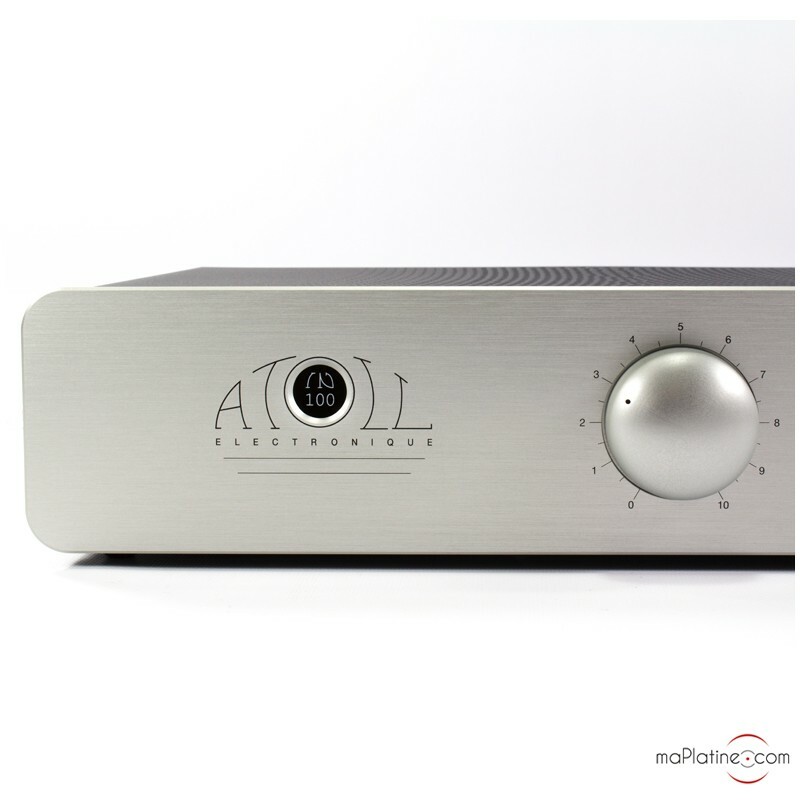 The design of this Atoll IN 100 SE amplifier is based around a symmetrical internal wiring configured in a dual mono mode. 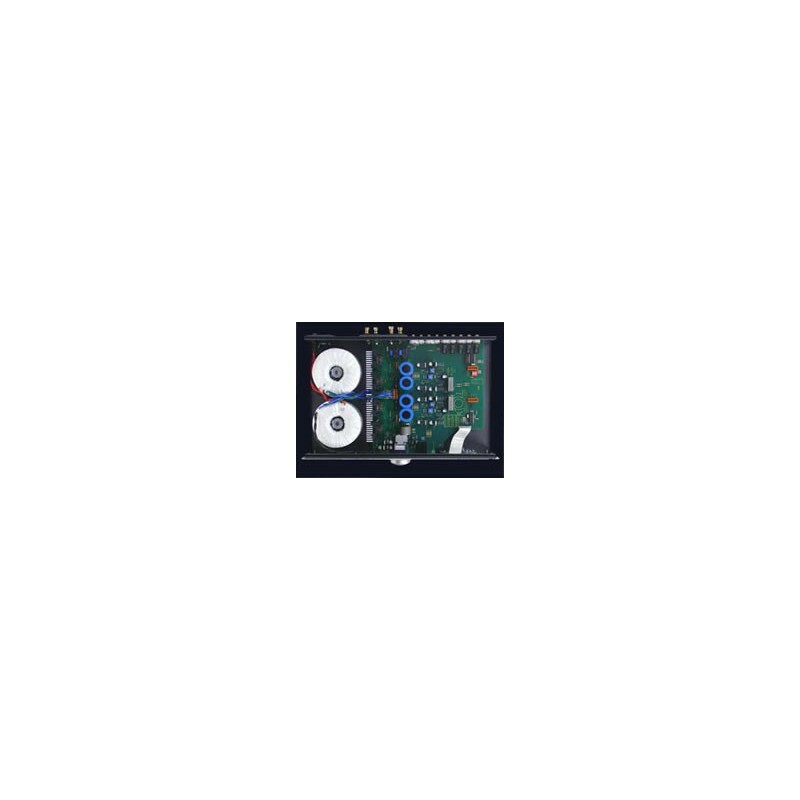 The volume potentiometer is a high quality motor driven (can be controlled by optional remote control) Alps potentiometer. 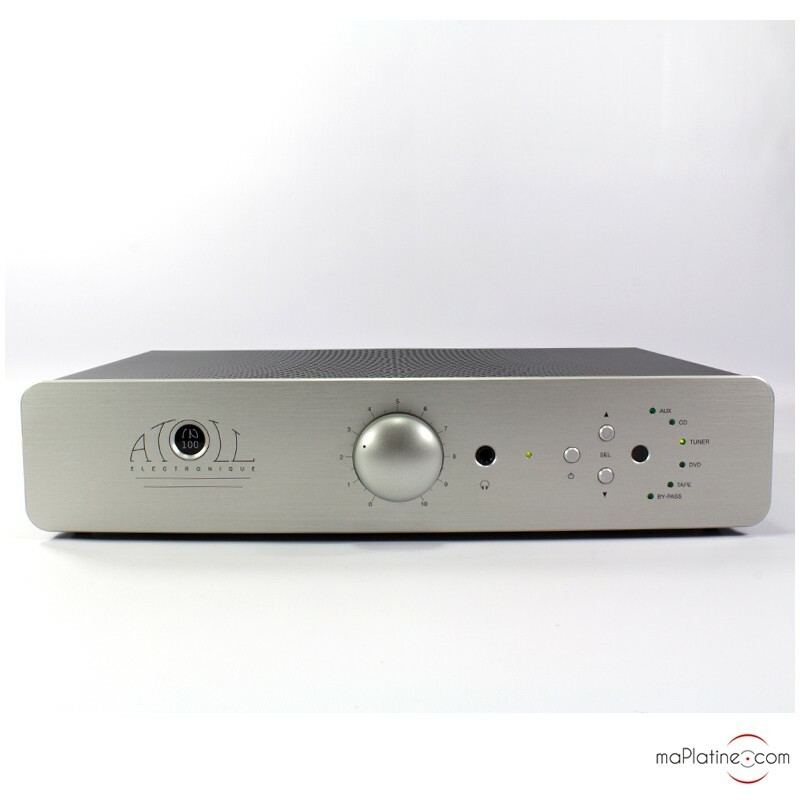 The IN100 SE2 also presents several interesting possibilities, such as inserting a circuit board into the Aux input. 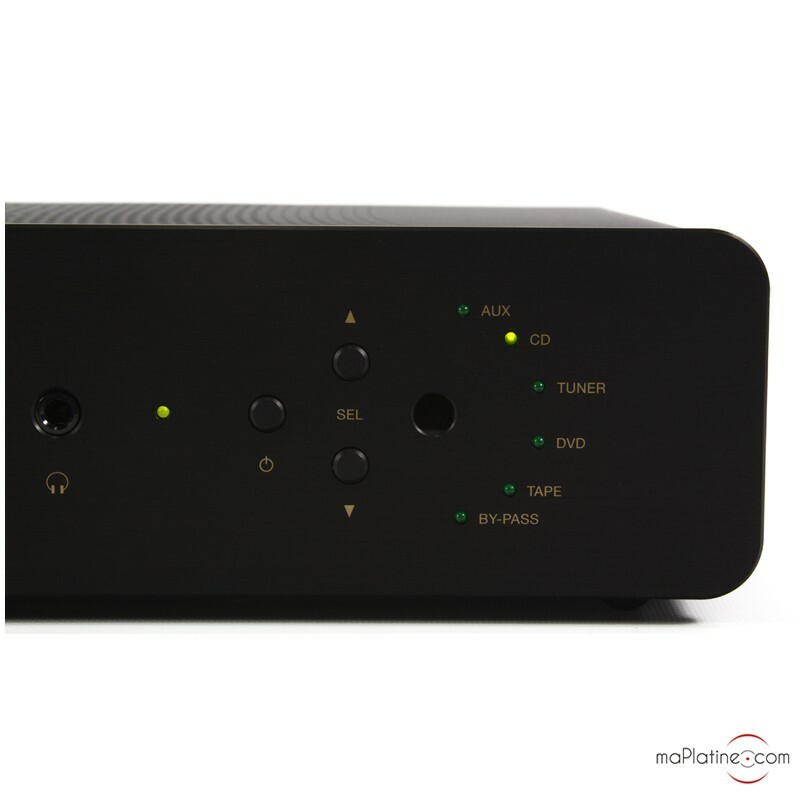 If it’s vinyl records you’re wanting to listen to, the MM Atoll P50 phono stage or the MM and MC Atoll P100 phono stage are absolutely essential. 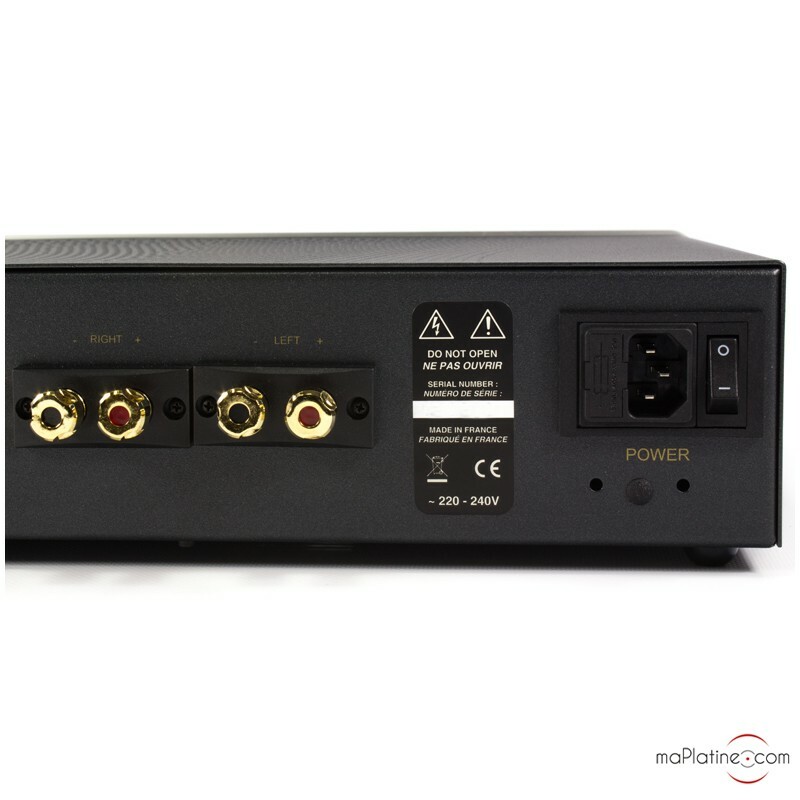 You can also add a digital input to your amplifier using the optional S/PDIF card. 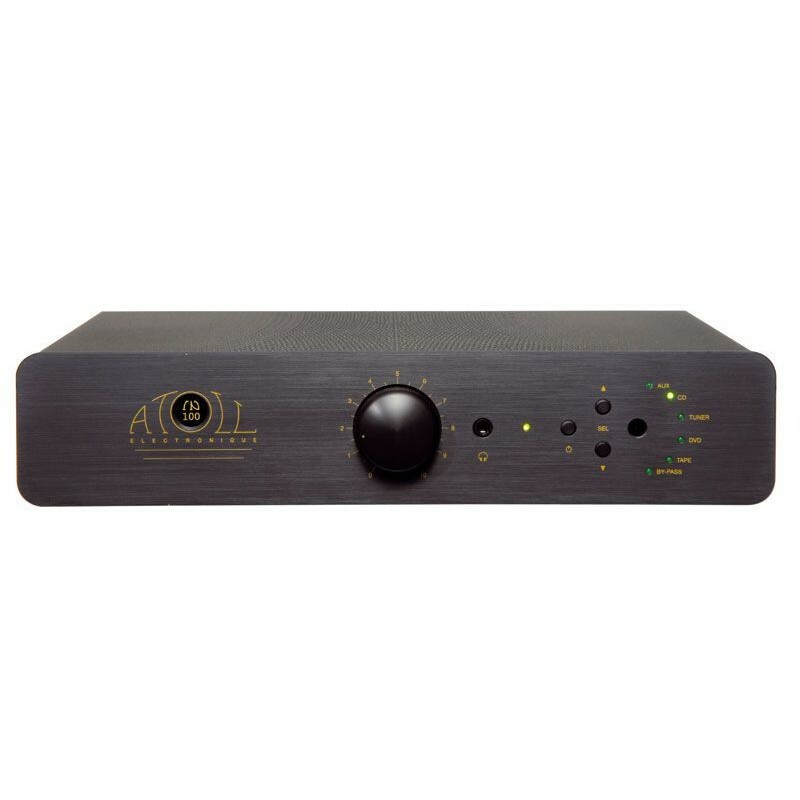 And to stream music wirelessly from your MAC or PC, you'll need the Atoll wireless card and Atoll USB dongle (both optional). But please note that only one of these cards can be used at a time. 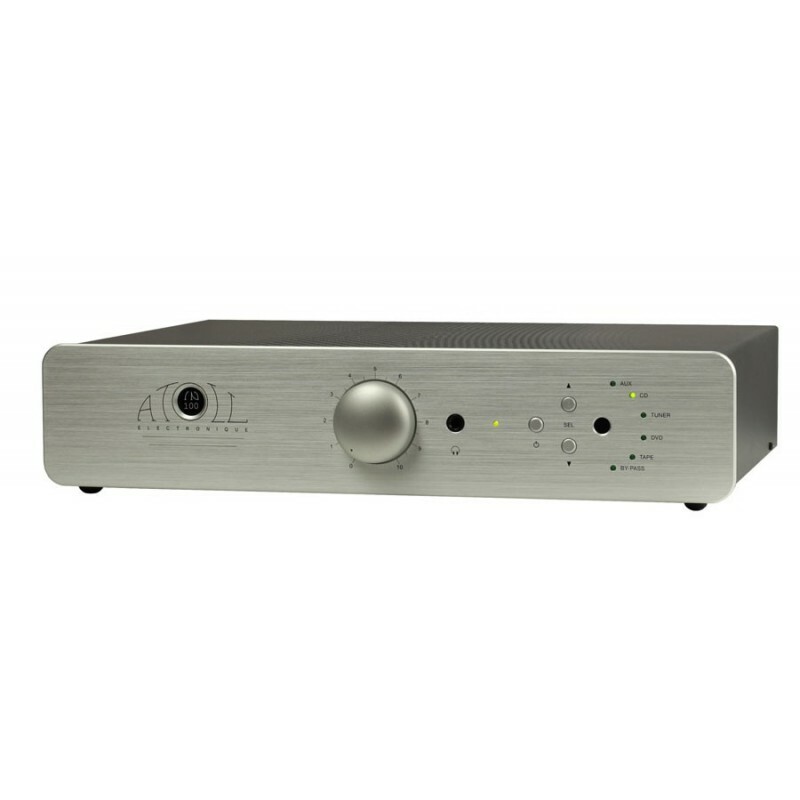 The power supply of the Atoll IN100 SE-2 amplifier is oversized, which means it is capable of delivering particularly strong and effective performances. The sound it produces is rapid and vibrant. 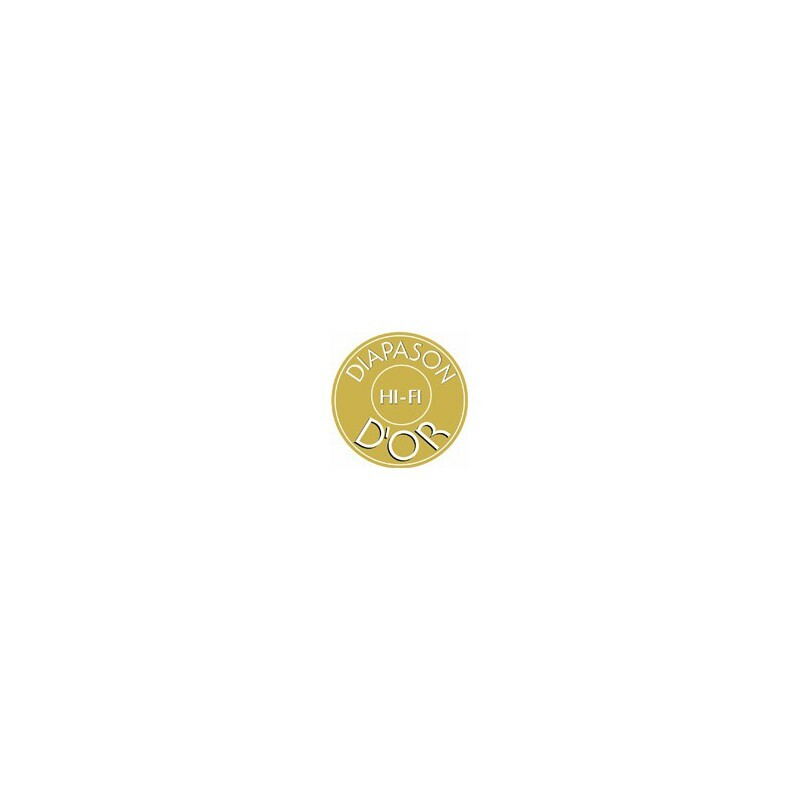 Each instrument is reproduced with the utmost fidelity – violins sound exactly like violins and Stratocasters like Stratocasters. Even in dense orchestral music, the placement of each and every instrument is pitch perfect and, as such, the sound stage is very wide. 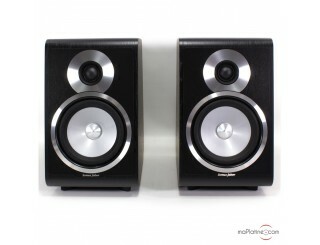 It has an undeniably strong sense of rhythm and delivers remarkable overall sound quality.